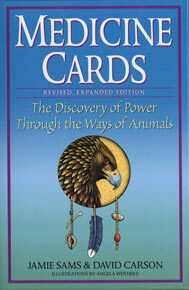 — One of my “Explorations” led me to the book and cards published as “Medicine Cards”. I do not believe that Native Americans ‘worshipped’ animals. I try to recognize propaganda as lies and manipulations whenever I can. —Some Native American traditions view Owl as a bad omen, as a messenger of death. This tradition saw Owl as ‘Night Eagle’ a silent hunter who represents ‘deception’. —Part of this realization was learning that the lying manipulators are afraid of me. They don’t always know why, but they dislike and fear me on sight. This explains a lot of the persecution and other nasty b.s. I’ve had to put up with all my life. —One of my higher guides shows up as a Merkabah/Star (Gold, White Light and Yellow) The first time I saw this guide I was deep in meditation, saw something fly out of the Sun, (I saw white wings and not much else in the bright white light with yellow radiating here and there) and in a child-like attempt to express appreciation, my left brain said- “A Sun Duck”- I was quite surprise when I received a laughing response, “Okay, I can live with that- you can call me “Sun Duck, I’ll know what you mean.” My heart jumped, I felt loved and appreciated. And I was quietly amazed that a being who was that high up on the evolution scale had a quick and easily expressed sense of humour.